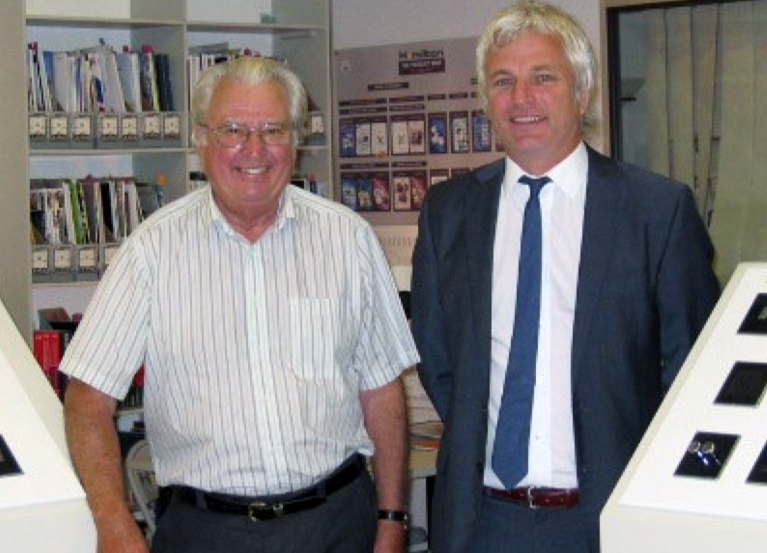 Hamilton Litestat, which this year is celebrating 50 years since the company’s incorporation, has announced the death of its founder, Rod Hamilton at the age of 90, following a stroke. Rod (pictured left, with son Ian) started as a commission agent selling electric shavers, smoothing irons and electric fires. A request to try selling a new piece of technology called a dimmer, when the first question was “what’s a dimmer”, led him into the field of switches, sockets and lighting controls with an ever-expanding choice of plate designs and finishes. For many years these came from the Italian firm, Frascio; a close relationship that built the fortunes of both companies.